Edelbrock’s new AVS2 800 CFM Carburetor with Annular Flow Booster technology brings superior fuel atomization with near EFI-like drivability to all high-horsepower small- and big-block engines. Fuel distribution is refined by eight equally spaced orifices in the booster rings that replace down-leg boosters, which simply dump raw fuel into the venturi. Flat spots are completely eliminated, and throttle response in the low- to mid-RPM range is improved tremendously without sacrificing that top-end power that Edelbrock is known for. 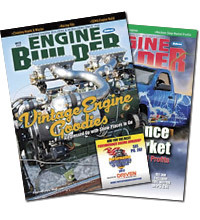 The AVS2 features a two-piece ease-of-tuning design that lets you make float level adjustments or replace internal components without draining the fuel from the carburetor or removing it from the engine. The AVS2 800 CFM comes in satin finish with a manual (# 1912) or electric (# 1913) choke. 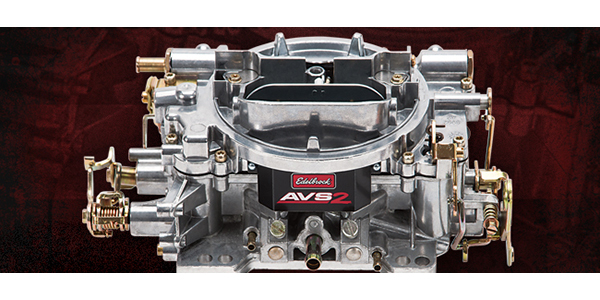 All AVS2 Series carburetors are designed, manufactured, assembled and calibrated by Edelbrock in the USA.